At least half of planning for a beautiful engagement session is deciding on a location; city or country? Open field or coffee shop? Venue or at-home? I remember chatting with Kathryn about what location felt the most comfortable and honest to her and Lincoln and she didn’t hesitate with her reply — their family’s campsites on Harvey’s Lake in Barnet, Vermont. 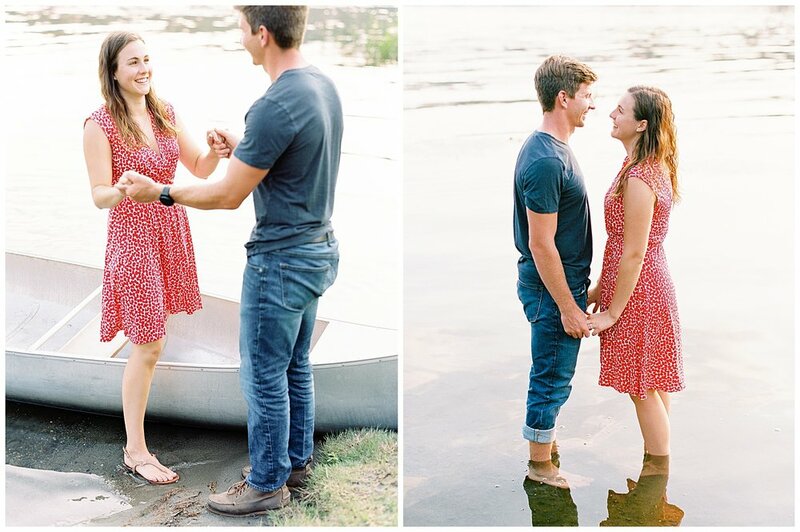 Her immediate answer told me that her instincts were a perfect match for their late summer engagement photos both in and around the water, nestled in one of the tiniest villages Northern Vermont has to offer. 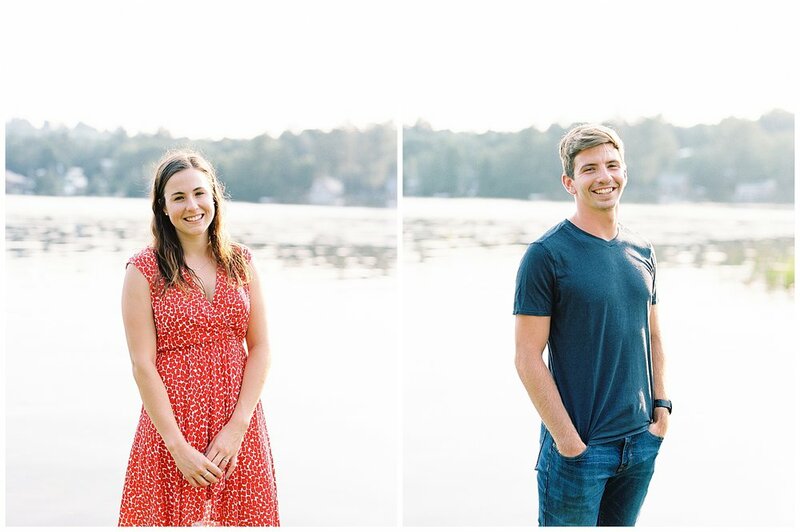 These photographs will perfectly compliment their mountaintop wedding this summer at Jay Peak Resort, a date I am so looking forward to sharing alongside them. We all agreed that finishing the shoot at their home, surrounded by their sweet pups and soaking in the sun on their back porch would be a great way to include more of their everyday love into their session.